It was an exciting competition with a great prize, and I decided to give it a go. After some head scratching and other meditative processes I decided to design a more futuristic strandbeest that could be easily printed and assembled using SLS technology which lies at the heart of the prize’s offerings. Below is the video I produced for your delectation. And no, I did not win. Oh well. Moving on, nothing to see here. And in the interests of recycling, here is the description I wrote for the entry page. 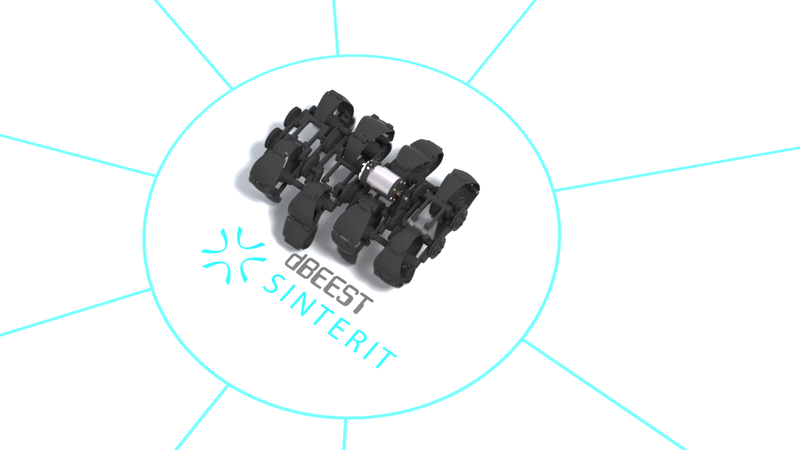 Designed specifically for the Sinterit printer, this strandbeest variant showcases the printer’s capabilities. It’s a slightly different take on the usual Jansen’s linkage, combining both an organic and mechanical design language. Jansen’s linkage is what lies at the heart of strandbeests, and they really fascinate me. Deceptively simple, these complex linkages produce a basic walking cycle, requiring only one rotating input. Using a series of cranks, complete units can be easily assembled and attached, all powered by one source, in this case a fairly common electric motor. I wanted an organic design that would contrast the mechanicals of the linkage, hence the curved surfaces of the outer bars, and the rigid-looking inner bars. Above all, I wanted this to be an easy print and simple to assemble with minimal tools whilst showcasing the printer’s capabilities, so everything is a snap-fit or printed assembled, with the exception of the motor mount because I didn’t have much choice there. Since this model is designed specifically for SLS type printing it’s going to be a struggle to print the parts using FDM or SLA. The main linkages – the legs – are printed as one part and fit into the build volume with plenty of clearance. All the joints have sufficient clearance to make this possible, so they require no assembly at all. The main bearing has drainage vents to make clearing the powder easier. All the other parts fit neatly into the build volume as well, and you can probably fit all the rest into one print session. There appears to be a little space theme building up here. 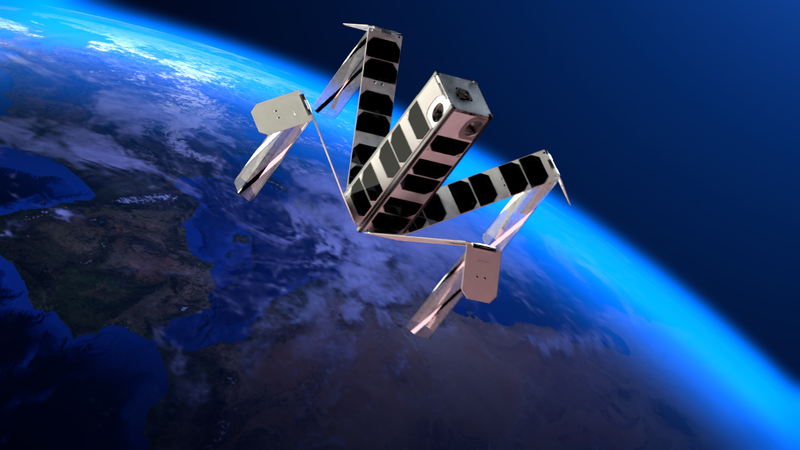 Coming rapidly on the back of the Space Poop Challenge is yet another space-based competition, the Cube Sat Challenge which Hugo Shelley roped me into once again. 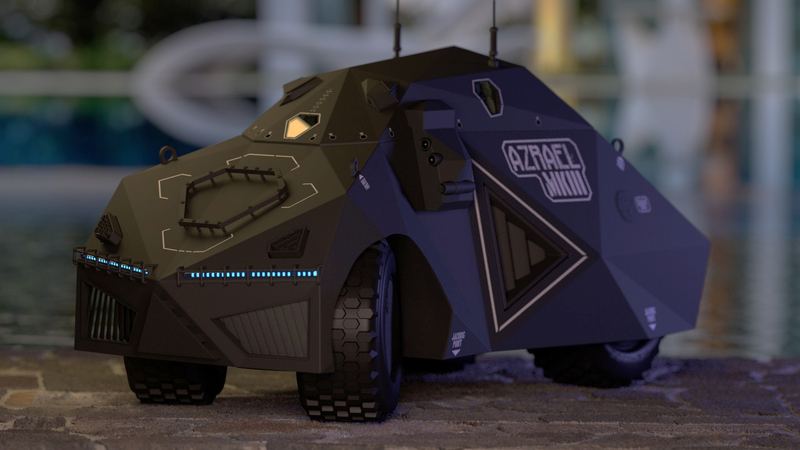 I’m not sure which of the two are cooler, but it was yet another fast-paced job with lashings of Blender goodness. Hugo delivered a CAD model with some pretty instructions. “Make it fly….in space….over a blue glowing planet…..animated unfolding….” yada yada yada. All very well and good, but it was quite a fiddly process figuring out exactly how the blasted thing was supposed to work. The wonders of the interwebs meant that he was able to furnish me with a video of a paper model doing its thing, so in no time at all I was deep into a rigging sessions. Blender being what it is, there is no “proper” way of doing anything, it really boils down to whichever work flow you are comfortable with. It’s a pretty neat concept, one of the key features being the antenna “legs” that unfold in flight in a really simple yet incredibly clever way. Think of it as engineering origami. My initial reaction was “simples” until I realised there will have to be some synchronised shape-key skullduggery and then there was much gnashing and wailing of teeth as I attempted to wire up everything using drivers and one empty. In theory, this was a great idea. In practice, when literally every second counts, complexity is you enemy. Especially when Blender still has some rough edges when it comes to instancing and requires some rather humorous if pretty annoying work-arounds. It does not help the the NLA editor is clearly smoking the dope sheet, and the dope sheet is fighting the action editor and everything is a giant, messy spaghetti when it comes to animation. This is Blender’s strength and achille’s heels. The software has tremendous flexibility once you have gone through its insane learning curve. There are so many wrinkles you have to learn, but they make perfect sense once you have all of that under your belt. Fortunately there was not that much that had to be modelled this time, and the texturing was quite simple. 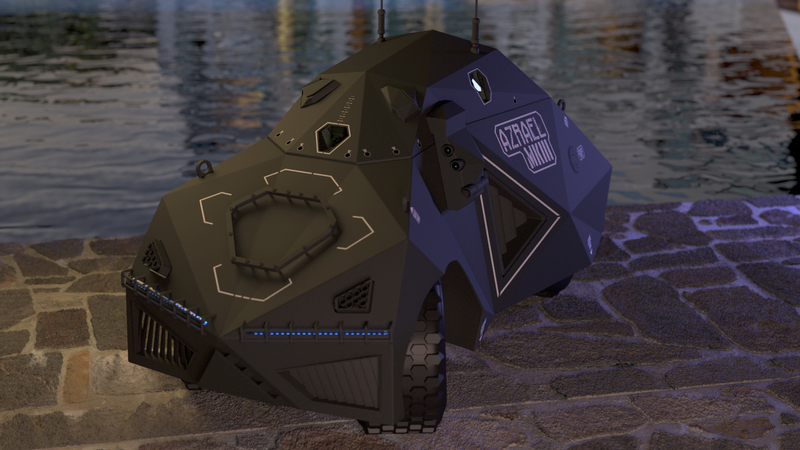 Lighting was a bit of a pain, and some stuff had to be composited, and rendering a lot of frames takes absolutely ages so we resorted to render.st who are pretty good, both price-wise and support-wise. Compositing in Blender is really advanced, and there are no end of tricks that can be employed to get the result you want; in this case I went easy and really did the bare minimum in order to save time and reduce the sheer amount of grief a complex node-tree can cause. The satellite was rendered on one layer, composited over the sky haze which was blurred with a gaussian node, and all of that was dumped over the earth. Some very simple sky glare was blended over the whole mix. As with such projects, time was really of essence, so I couldn’t get all the special effects in that I or Hugo wanted, but the end result seems to do the design justice nonetheless. You got this far? Well done. 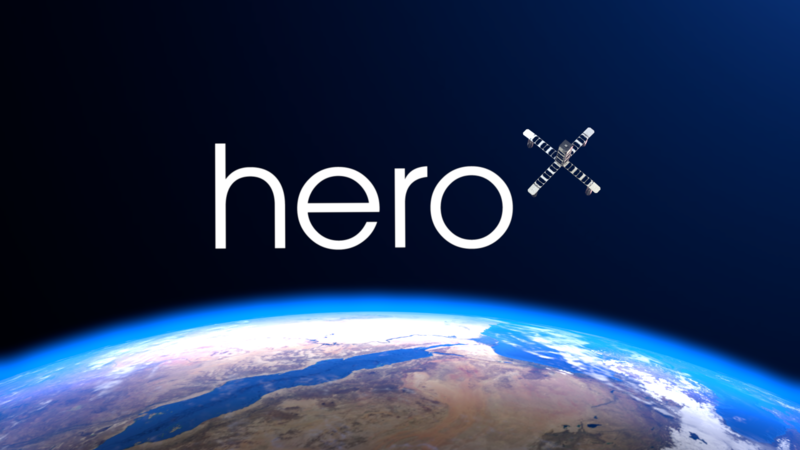 Now go and vote here: https://herox.com/cubesat-challenge/entry/16321 and make some very strange people very happy. This is more of a note to self than anything else. I inadvertently purchased some clone Arduino Mini Pros, insted of Minis, the difference being that that latter has a USB port onboard. Oh well, that meant securing an FTDI board or two, no problem there. When they arrived, however, the pinouts on the FTDI boards were not labelled in a corresponding manner to the boards. Which wire went where? Who knows? Some hunting later it ocurred to me that by simply plugging them both into a breadboard they would probably work just dandy. So, in went an arduino and an FTDI board head-to-head. Nada. The magic happened once I downloaded a driver from here: from http://www.ftdichip.com/FTDrivers.htm and that’s all it took. It’s always nice to have nice clients and Hugo Shelley of iotatechnology.com fame is one of those. He designs all manner of wonderful things, but when he asked me if I could model shorts for him, I replied that I didn’t have the legs for it. Fortunately, this did not involve appearing on camera, but modelling his entry for the NASA Space Poop Challenge, launched on herox.com. Naming the system was another issue. I suggested “Suit Hygiene Internal Toilet and Tertiary Effluent Recovery” and “Peripheral Organic Ordure Processor and Effluent Recovery” and for some unfathomable reason Hugo rejected those. All of this was crammed into one and a bit weeks, with numerous revisions of every component. This combination of organic and hard surface modelling is quite a challenge, but is just the sort of thing Blender excels at. 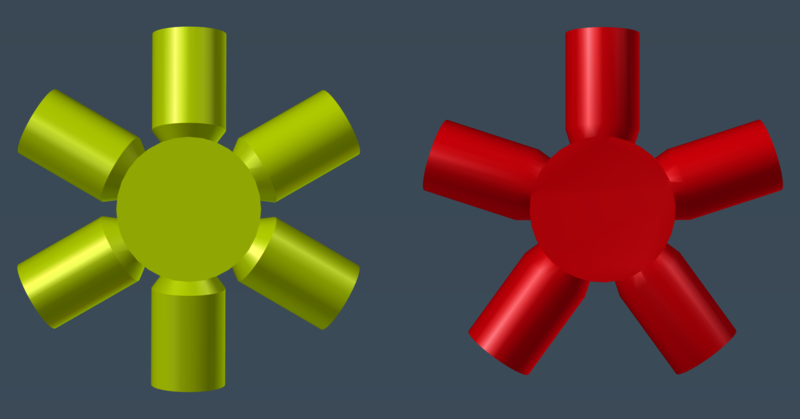 Even with the very limited time available for texturing and rendering, I still managed to achieve a reasonably good looking results for what is, after all, a technical illustration. There were over 100 hundred renders produced, sadly none of which (other than the one above and the turntable, of course) I can show here for obvious reasons. Despite the power Blender offers, there were numerous challenges involved, since every model had to be as flexible as possible, allowing for all the unknown changes that would be required down the line, and there were loads of them. Hugo is the kind of client every artist and designer wants: he understands that this sort of thing is complex, that sometimes the wires will go quiet whilst some pretty tricky stuff is being handled, and that there are times he has to take the designer’s word that something has to give, for whatever reason. He took my more sensible suggestions on board, laughed at the really silly ones (OK, I wasn’t being all that serious) and respectfully declined the more unlikely ones. It was a great thrill to participate in this challenge, a greater thrill to see Hugo come in as a winner! Two world firsts: the first sukkah to use 3D printed parts as an integral part of its structure, and the world’s first geodesic sukkah. 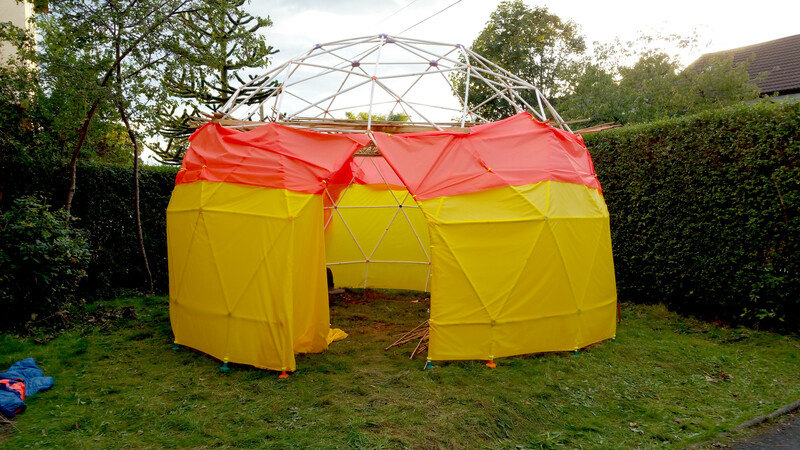 For absolutely ages I have been mulling the idea of building a geodesic sukkah, and never really took the idea too seriously. 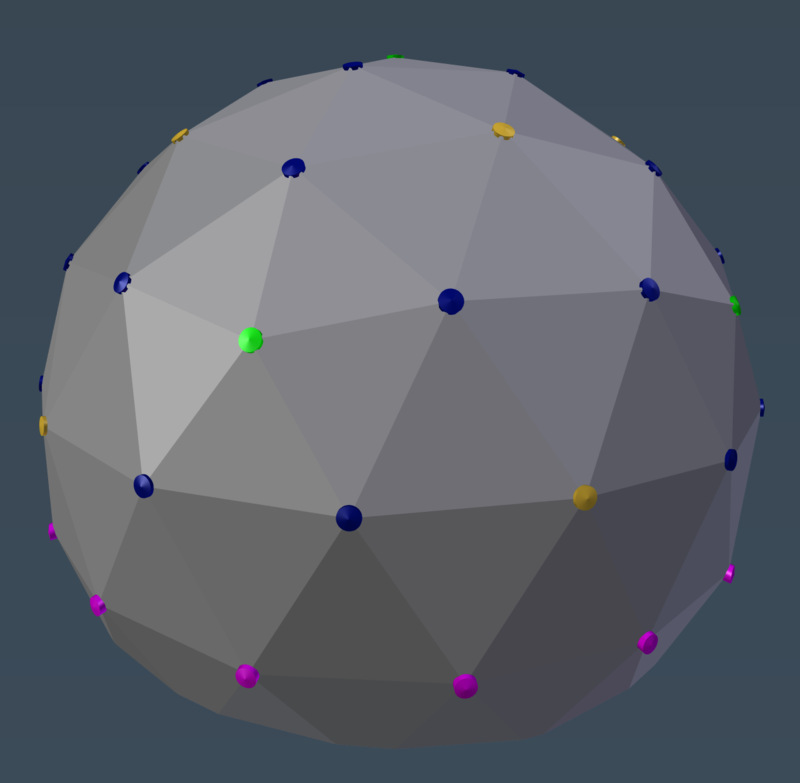 Oh, I told my kids bedtime stories that featured a geodesic sukkah quite prominently, but after playing around with the geometry in Blender I figured it was simply too much work. Then my laptop got stolen, I bought a new one and for some reason that sparked my interest yet again in the idea. 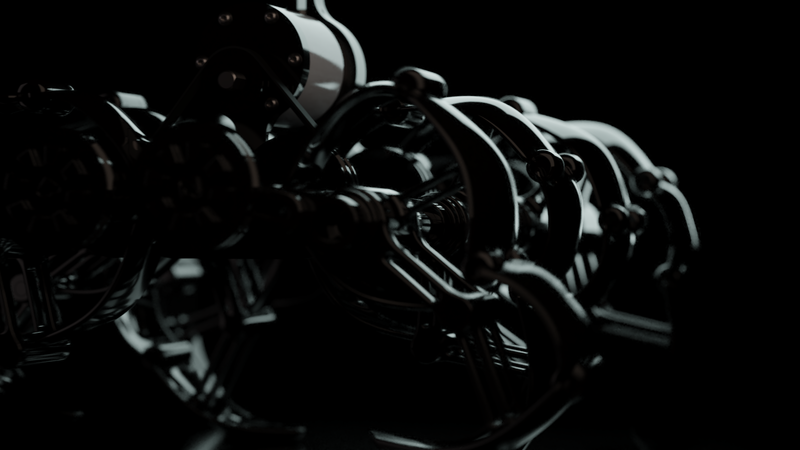 So I fired up Blender again, did some research and backed off yet again. Ah, but then something clicked somewhere, and I took to the idea quite seriously. Seriously enough to buy some cheap plastic pipe (1 British monies for 2m worth of 22mm overflow pipe) and set about designing the dome. 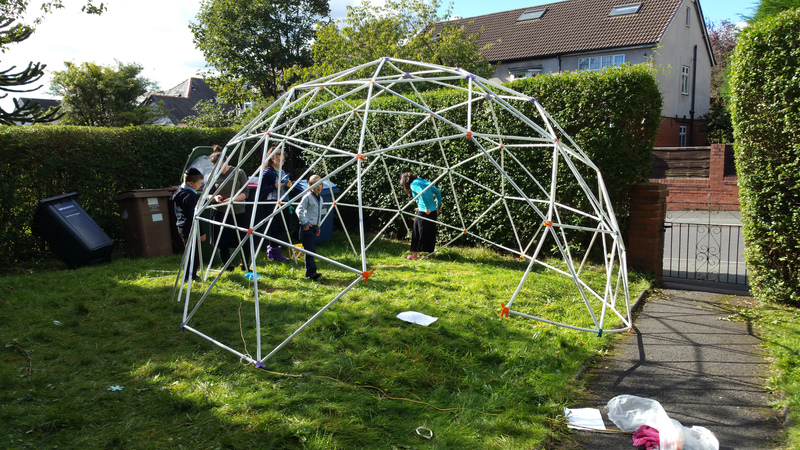 Well, how do you design a geodesic dome altogether? 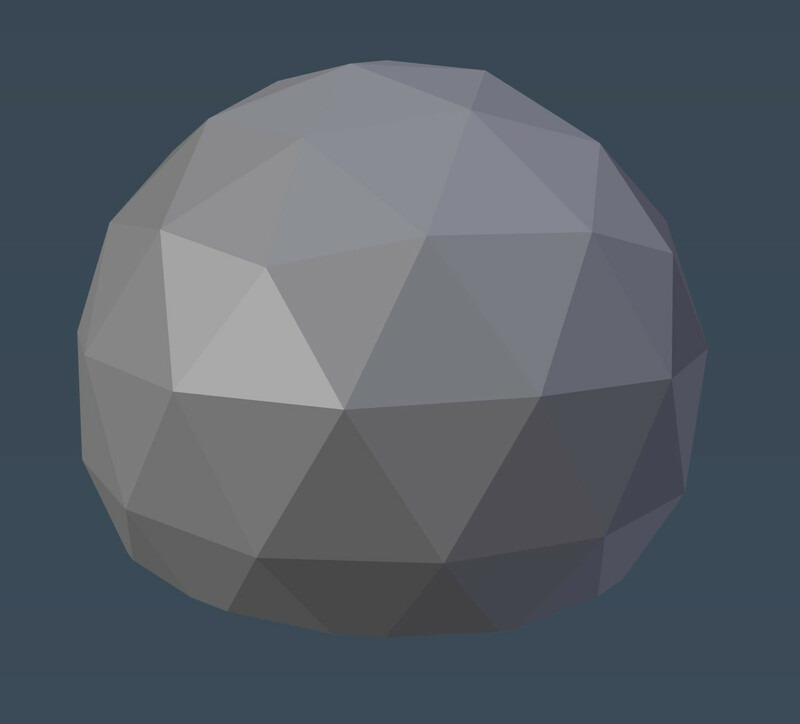 The simplest route is to use the geodesic plug-in for Blender, of course. One click, or actually several hours of fiddling around until the realisation dawned that there is a lot to learn about these kinds of domes, and I had a dome. Well, sort of. 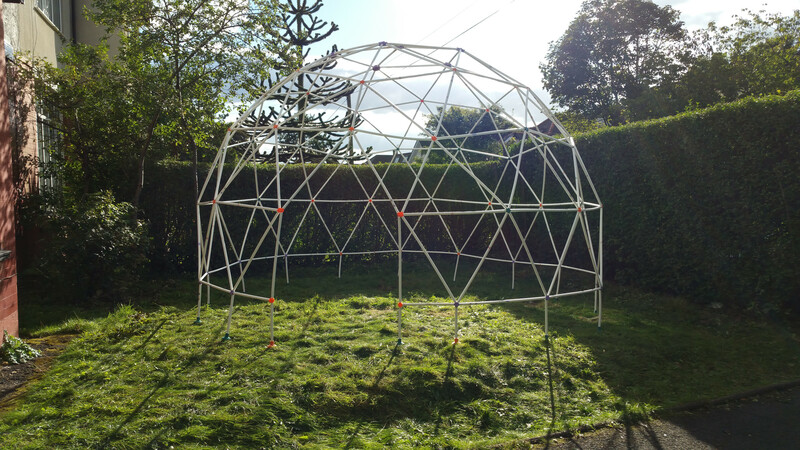 What I had was a geodesic mesh, certainly; but a practical, buildable model it was not. The sheer amount of options was quite overwhelming, and then I had to scratch my head and decide whether I wanted a class 1 or class 2 icosahedron, octahedron or tetrahedron or who knows what. Obviously, I got somewhere in the end. Yet there were more decisions to be made. Ideally I wanted the sukkah to fill up as much space of my garden as possible. I didn’t want the walls to be too shallow, because then much of the usable space would be sacrificed. On the other hand, if the dome was too tall, the base would be too narrow. Ah, choices, choices. In the end I decided on a maximum diameter of 4.6m, and cut off around 1.3m off the bottom which made for a happy balance. Of course I still had no connectors, and now way of aligning all the connectors automatically, as well as putting the pipes in place and whatnot. All of this required a fair bit of hair pulling and many hot baths. 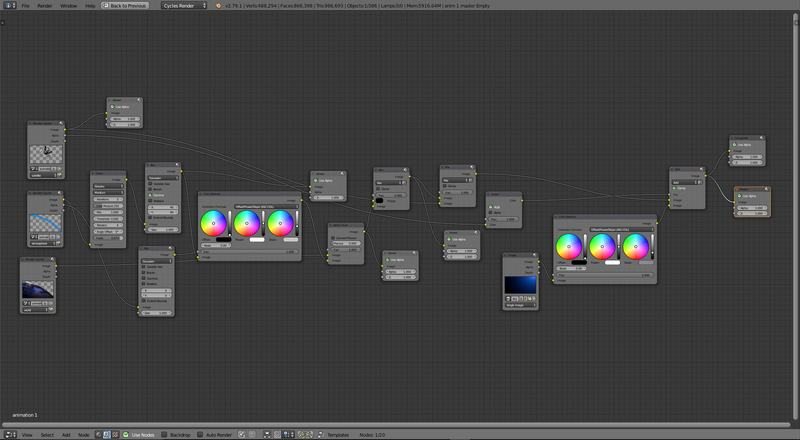 Fortunately Blender has some really powerful tools that came handy, such as the Dupliverts tool. 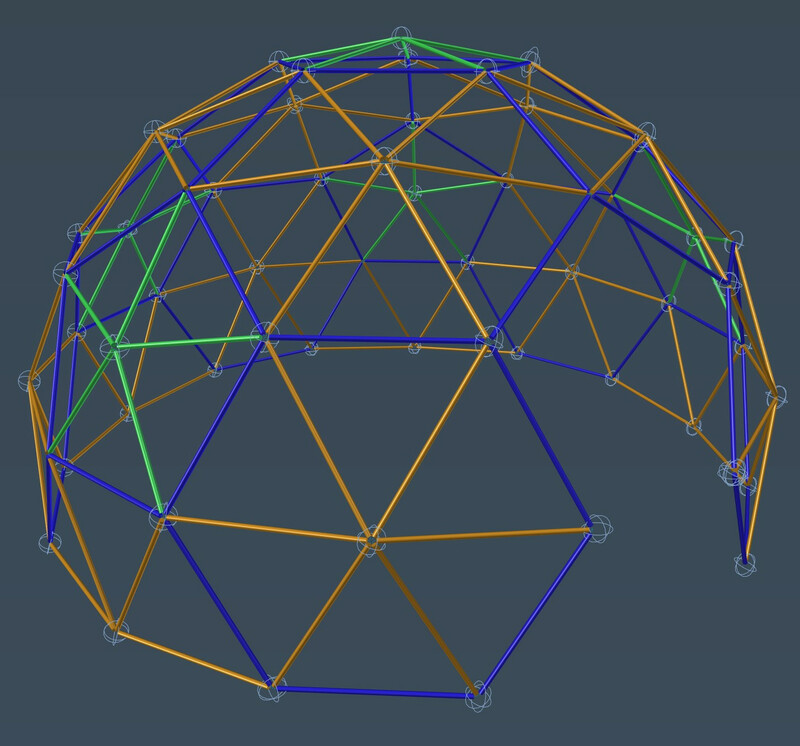 By parenting a mesh to the dome, Dupliverts will stick a copy of the mesh onto each face or vertex, and when using vertices will point the mesh in the direction of the vertex normal. In plain English, you get loads of free copies and everything points to the correct direction. Coolio. I trolled around the intarwebs to see how everybody else designed their connectors, especially the 3D printed versions, and discovered no-one who had designed an actual working dome using 3D printed parts, and the other connectors that I found were made out of bits of plastic tubing with holes drilled in and cable ties to hold it all together. Mucho too much work for my liking. Well, after some cogitation I came up with a fairly clunky but serviceable design, which took 2 hours to print, despite using a 0.8mm nozzle and 0.3mm layer heights. They were put into service nonetheless in order to test the very top of the dome together with the oh-so-wonderful plastic tubing. After further cogitation and the dawning of the realisation that Sukkos was fast approaching and I simply did not have the time to print dozens of clunkers, version 2 was developed. It prints in one quarter the time and uses a lot less plastic. All the parts for the sukkah were printed in ABS, because they were going to be used outdoors and I didn’t want PLA melting in hot sunlight. In hindsight, this was an overly unnecessary precaution, since we rarely get sunlight in this part of the world, and when we do, heat is usually not an issue. Oh well, at least ABS is the cheapest filament I can buy, so all was not futile. Getting the pipes in place was a bit trickier. What I resorted to in the end was using two empties, one at either end of the pipe, with the pipe parented to one, and tracking the other using a Track To constraint. Then snapping the empties to the desired vertices was simples, and some shuffling along of the pipe was in order to get it into place. Very, very tedious, not technically accurate, but quite effective. My family took to the idea like a roasted duck to an orange sauce. Everyone was both excited and convinced I was kidding them, until she-who-must-be-obeyed greenlighted the purchase of 100 flimsy pipes at the eye-popping cost of 100 British monies. You should have seen the face of the delivery man who for the life of him could not imagine what anyone would want to do with that much garbage. It really is the cheapest stuff one can acquire without resorting to nefarious goings-on or actual miracles. My philosophy is to avoid any actual work, and hence convinced my daughters of 12 and 14 tender years that they would be able to construct this affair with ease, and that It Would Be Quite Fun. The initial plan of simply assembling the whole thing and hoping the structure would hold itself together was quite naive, so we were forced to use small screws. This was a mixed blessing, but my dearly beloved offspring persevered, and after 20 hours of delighted labour the deed was done. Well, at least the frame was up. The whole affair was very much lastminute.com so not everything worked out quite as well as I hoped it would, in particular the schach (vegetation roof). Well, it still held up for the while festival, and seated 20 people in comfort, so who can complain? The whole neighbourhood got to here about it as well, so we entertained approximately 500 visitors who wanted to eyeball the “climbing frame sukkah”. Having finally concluded that the whole fiddling with an SD card to get my Ultimaker 2 printing was growing long in the tooth, I roped in a spare Raspberry Pi to act as a 3D print server. Finding the info required to do this in one place is still quite tricky, so I figured I would write it all down while I still remembered. First of all, octopi was installed on the raspberry. Of course I was too tired to realise that the image was downloaded as a zip, and I wrote the zip file to the SD card using dd several times until the light dawned, and I cursed roundly at my foolishness. One unzip later, 3.3Gb of data transferred smoothly. The raspberry pi was wired up to the printer and a handy ethernet cable and breathed into life. Instructions listed here were slavishly followed, and then it was time to give things a whirl. Firstly, the baudrate in the connection section has to be configured for 250000. Very important. After that there was really not much to do. I decided to install every plugin on a whim, which proved quite useful since there is no “go faster” button, and the custom control plugin allowed me to add one with little fuss (the g-code is M220, e.g. M220 S120 for 120% printing speed). As my benighted offspring might say: “Well wikkid”. The next big change takes place in Cura, where the UltiGCode has to be switched out for RepRap(Marlin/Sprinter) in the machine settings dialog. After that, things change a little in Cura, most importantly is the Start/End-GCode tab that appears. This will have to be modified in order to get the results you expect, such as having the head travel to the front of the table and dribble sufficient quantities of expensive filament to no end other than to prime the nozzle, and drop the bed after printing. Err, not quite. Just a quick note, and then the code. M117 appears to do absolutely nothing at all. Nada. Nichts. Ok, here really is the code.